in San Jose Del Cabo, Mexico! 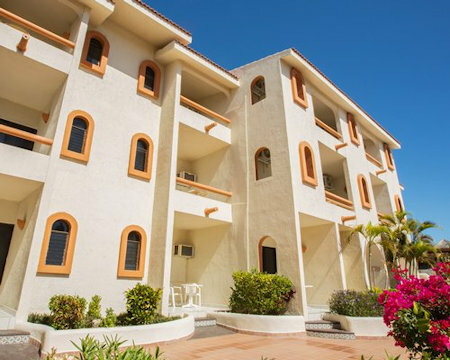 Located in Zona Hotelera, this golf aparthotel is within a 10-minute walk of Plaza Mega Comercial Mexicana, Playa Hotelera, and Punta Sur Golf Course. Club Campestre Golf Course and Costa Azul Beach are also within 1 mile. 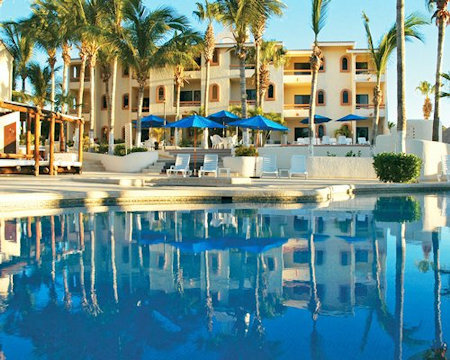 Along with a restaurant, Park Royal Los Cabos offers an outdoor pool and a bar/lounge. The resort also features a swim-up bar, concierge services, and dry cleaning. 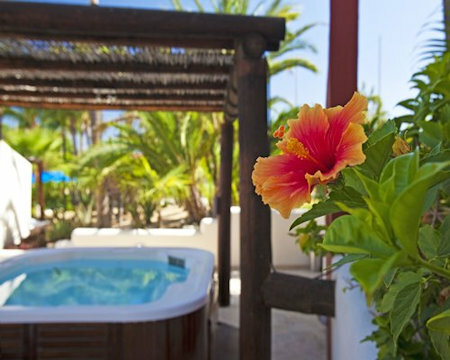 When you stay at Park Royal Los Cabos, you'll have the opportunity to experience a wide variety of terrain and activities, from horseback riding through the desert to walking along a secluded ocean beach. 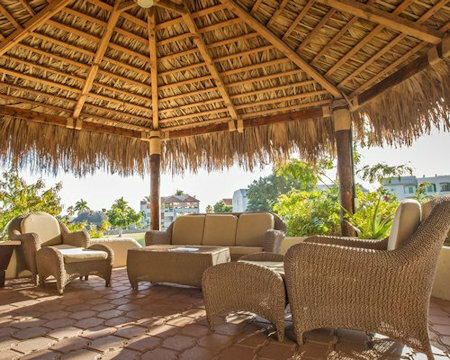 Located on the Los Cabos Fonatur Golf Course, Park Royal offers a restaurant-bar, Jacuzzis, outdoor swimming pools, and rooms and suites with spacious terraces. 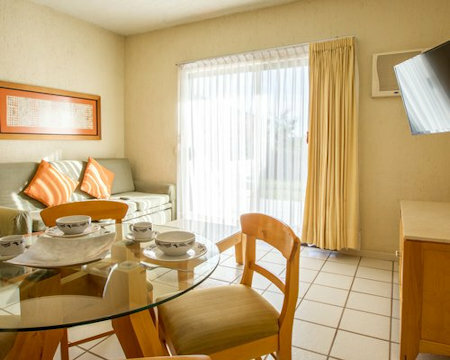 Each unit comes with a furnished lanai, ceiling fan, in-room climate control (air conditioning), and daily housekeeping. 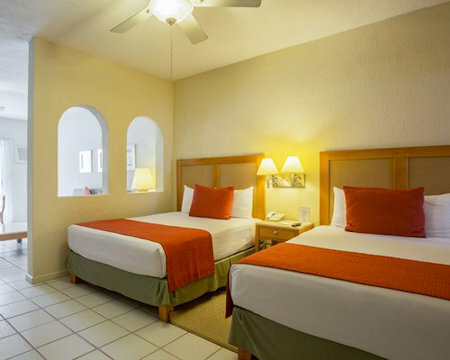 Your HOTEL UNIT will accommodate 2 and have 1 bathroom and 1 King Bed. The Following Check-in Dates are Available Hotel Unit! UPGRADE TO a Studio ON THE FOLLOWING DATES FOR ONLY $75 FOR THE ENTIRE WEEK! Your STUDIO UNIT will accommodate 4 guests and comes with a partial kitchen. UPGRADE TO A 1 BEDROOM SUITE ON THE FOLLOWING DATES FOR ONLY $125 FOR THE ENTIRE WEEK! Your 1 BEDROOM MINI SUITE will accommodate 4 guests and comes with a partial kitchen. A State Lodging Tax Of Three Percent Will Be Charged During Check Out. This Resort is not on the beach. Resort charges a $5 per unit per day fee.